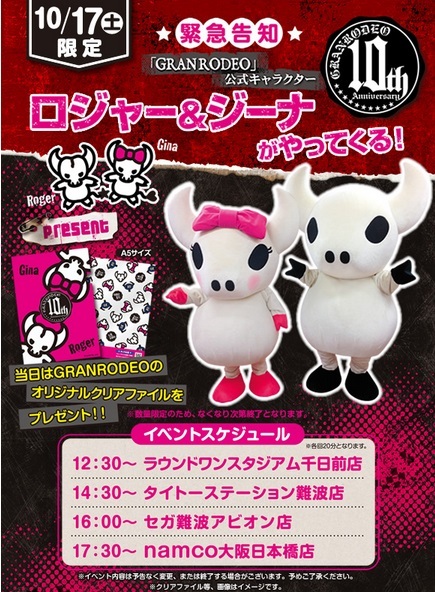 Starting in mid-October, special 10th anniversary editions of the large (33 cm) and small (12 cm) Roger and Gina plushies will be available in game centers nationwide. Check here and here for a list of participating centers. Plus, 10/17, Roger and Gina will be visiting ausement centers in Osaka, giving out special clear files while they last. Details here.